Besenzoni’s business partner network is one of the jewels in its crown: long-term relations built on trust and quality have always been a cornerstone of its corporate philosophy. This is the backdrop to the consolidation of the partnership with Timage Ltd, which will produce a new line of transom and side doors, especially designed for the British market. With a business network that includes almost 200 retailers all over the world, Besenzoni has always trusted its worldwide presence to bring it closer to its customer and fulfil their every need, whether they be shipyards or boat owners. Its aim is to place at the disposal of the yacht and megayacht market all the quality, innovation and excellence of its “made in Italy” products, offering “customized” solutions, suitable for all the requirements and needs of its various purchasers. Among the long-standing partners of this company from Bergamo, is Timage Ltd, a reference point in the United Kingdom, with decades of experience and a vast knowledge of the wants and needs of the British shipyards. 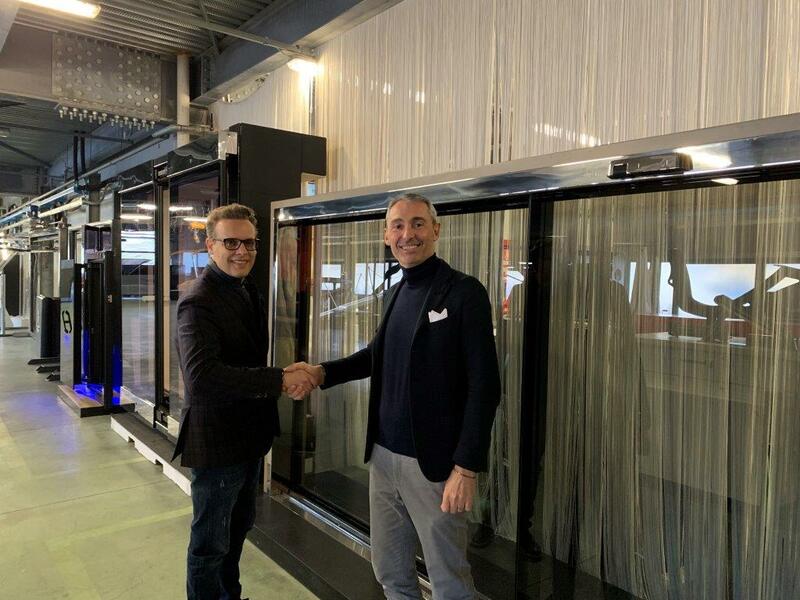 Already a distributor of Besenzoni products for over 40 years now, Timage, the management of which has now passed on to the second generation of its owners has taken a further step: it has signed an agreement to consolidate its relationship of trust and cooperation, giving the go-ahead to an exciting new project. Championed and enthusiastically approved both by Timage and Besenzoni, the new plan aims to strengthen the bond between the innovation and production capacities of the Sarnico company and the infrastructure of the English company, which has been cooperating and interacting with the leading players of the British boat market for many years now. In particular, the agreement concerns the manufacturing of transom and side doors, both in the automatic and in the manual version, offered with a series of customizable finishes. So with the signing of yet another cooperation agreement, a line dedicated to British shipyards has been launched for the express purpose of satisfying the aesthetic and functional needs of this market segment. “This is an agreement that makes us proud and brings us even closer to our customers”, said Giorgio Besenzoni, the company’s CEO, the day after the signing of the agreement. With sector experience spanning decades, Timage Ltd has always based its business on quality and a keen eye for design, in order to offer its clientele only the best, in terms of products, manufactured either by itself or by carefully selected suppliers, as well as in customer assistance and customization services.